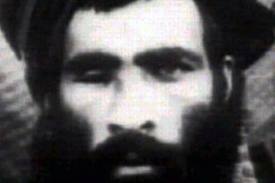 Mullah Omar, leader of the Taliban. Despite the Islamic State’s rivalry with al-Qaeda, the Pakistan Taliban has announced it supports IS. The Pakistani Taliban were said to have sworn allegiance to the Islamic State (IS) on Saturday though it was later revealed that this was merely an offer of support. The move was not considered a complete surprise when the news broke on Saturday because the Islamic State has been recruiting and advertising in the Pashtun-dominated areas of Pakistan, many of which are sympathetic towards the Islamic State. However, the move would not have been anticipated either, with many believing instead that the less influential jihadi groups would align with IS in order to take advantage of their infamy. A Taliban offer of aid to IS, which came during the Muslim holy festival of Eid al-Adha, was accompanied by a statement from the Pakistani Taliban spokesman Shahid Shahidullah in Urdu, Pashto, and Arabic. “Oh our brothers, we are proud of you in your victories. We are with you in your happiness and your sorrow. In these troubled days, we call for your patience and stability, especially now that all your enemies are united against you. Please put all your rivalries behind you. All Muslims in the world have great expectations of you. We are with you, we will provide you with mujahedeen and with every possible support,” Shahidullah said. Reports initially suggested that this statement represented the Pakistani Taliban’s growing estrangement from Al-Qaeda and the Afghan Taliban, rivals of the Islamic State. In the eyes of many Pakistani Taliban, jihadists in Pakistan have been much less effective than those fighting for the Islamic State. This coupled with rivalries within the Pakistani Taliban, were said to have influenced its alleged decision. Al Qaeda and the Afghan and Pakistani Taliban have been creating a South Asian zone of operations for jihadist groups aligned to them that would rival the Islamic State in the Middle East. Al Qaeda established a new franchise in the subcontinent called Al Qaeda in the Indian Subcontinent (AQIS) last month, which was designed to bring together the region’s various jihadist groups under one umbrella. Al Qaeda itself also renewed its old pledge of allegiance to the leader of the Afghan Taliban, Mullah Muhammad Omar last month. Al Qaeda’s leader Ayman al-Zawahiri repeatedly stressed that all Al-Qaeda groups were under the authority of Mullah Omar who was the “commander of the faithful,” a title traditionally used by caliphs. It was assumed that the Pakistani Taliban shared the same position until Saturday. However, to clarify matters, the Pakistani Taliban reaffirmed its allegiance to Mullah Omar on Monday. Spokesman Shahidullah said that the statement had been intended as an expression of support for all Islamist militants fighting in Syria and Iraq and struggling against Western interests. “We are not supporting any specific group in Syria or Iraq; all groups there are noble and they are our brothers. If Mullah Omar orders us we are ready to send our mujahedeen to Syria, Iraq and Yemen or any battle ground in the world,” he said. It is unclear as to whether the Pakistani Taliban’s position towards the Islamic State was coordinated with Al Qaeda and the Afghan Taliban or not. Given the rivalry between Al Qaeda and the Islamic State and their different priorities, this is doubtful, but it is possible that both groups are trying to build bridges. Nonetheless, the Pakistan Taliban confirmed that their chief goal was to effect regime change in Pakistan. While the Pakistani Taliban’s offer of aid to IS will probably not impact the situation on the ground in South Asia for a while, it could help the Islamic State as well as bolster the Pakistani Taliban in the long run. A few hundred Taliban may already be in Syria and Iraq fighting alongside the Islamic state, bolstering its capacities. Dangerously for South Asia, these Taliban, upon returning to Pakistan would return as even more radicalized and deadly fighters due to their battlefield experiences in the Middle East. Further cooperation between the Islamic State and the Taliban would contribute to the continuing gradual destabilization of Pakistan. To make matters more complicated, the Pakistani government does not seem to have yet determined its exact stance towards the Islamic State, so is not fully committed to stopping cooperation between the Taliban and IS. As it does towards the Taliban, Pakistan might attempt some combination of cooperation and antagonism with the Islamic State, a strategy which is unstable and will probably fail in the end. Disturbingly, there are elements in the gulf Arab states who share a similar strategy towards Islamic State, as well as Turkey.